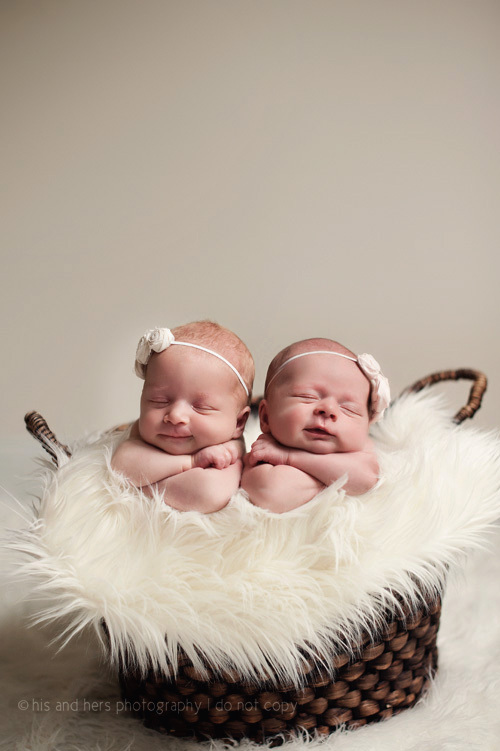 ISO – I use continuous lights and a PLM (parabolic light modifier) for my baby photos. I set my ISO at around 400 and adjust this where necessary to compensate for changes to my aperture. When I choose my camera settings, I typically think in apertures. Depth of field is the main thing that I’m thinking about – and the most important thing that I’m needing to modify for my sessions. Because my sessions take place in a studio with a continuous light, and my subjects aren’t running around etc, for me depth of field is the most important thing. Shutter Speed – I usually set and forget my shutter speed. I set it at around 250th/sec to make sure that I don’t get any motion blur. The rest of my camera settings tend to stay consistent except where I adjust my aperture and need to adjust either my ISO or my shutter speed for a correct exposure. Usually I leave my shutter speed and adjust my ISO. Generally when working with babies, we want to be quick and without hesitation. Therefore choose fast shutter speeds and/or high ISOs. There’s nothing worse than capturing a great moment that is slightly blurry because the shutter was too slow. With good daylight you want to use 1/500s shutter speed. F/5.6 and wider is also a good rule of thumb in terms of aperture, giving sharp shots without sacrificing shutter speed. Few things in life can be as rewarding as photographing babies- after coaxing an expression of cherubic joy – caught with a click. Here are some easy steps you can follow to take the perfect portrait of the apple of your eye. Baby on their own When I’m photographing baby on their own I like to shoot quite wide open to make the focus all about the baby and blurring the background (aka shallow depth of field). To achieve this look I select an aperture of around f/2 to f/2. 5. Of course when you’re shooting with such a small area in focus you really need to be on your game with your focusing! Baby with a sibling / Parent shots When photographing a baby with a sibling or one other person on roughly the same plane of focus (e.
g. both laying down on a rug) you should increase your depth of field slightly to ensure that both subjects are in focus. In these cases I change my aperture to about f/4. Family shots For family shots (e.
g. both parents, perhaps a sibling and baby) you will need to select a narrower aperture (higher f/stop number) to ensure that all the subjects are in focus. I typically shoot family images at about f/5. Babies are unpredictable so therefore tears and tantrums are to be expected. Don’t be afraid to keep the camera shooting rather than waiting for that perfect pose or moment because somewhere in 30 consecutive shots will be one winner. Presuming you have a good amount of natural daylight, choose an ISO of 100-400 and use a wide aperture (f/2.8-f/8) for a shallow DOF (depth of field). Use continuous shooting mode on your camera to capture 2, 3, 4, or 5 photos in a couple of seconds. Of course these settings will change depending on your own studio and lighting environment as well as what it is you’re wanting to achieve in your photos. 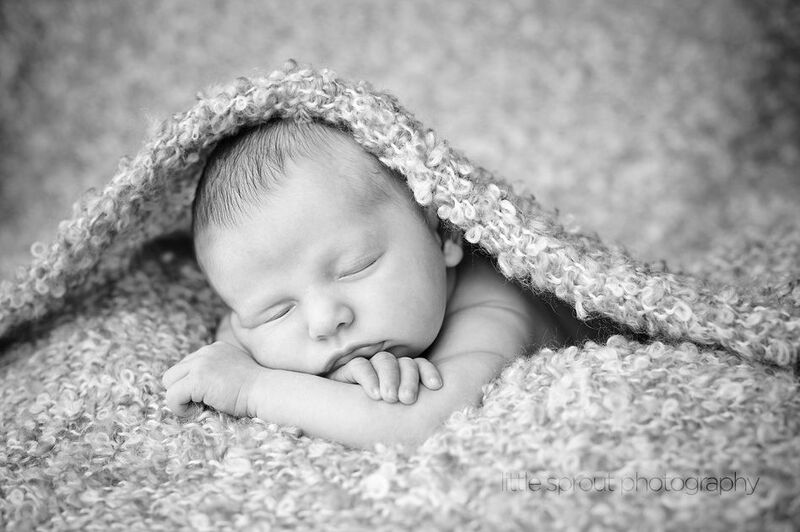 Black and white images are classic and timeless, and are perfect for photographing babies! Turn the mode dial to AV (Aperture Priority) mode and select a large aperture for a soft and blurred background. 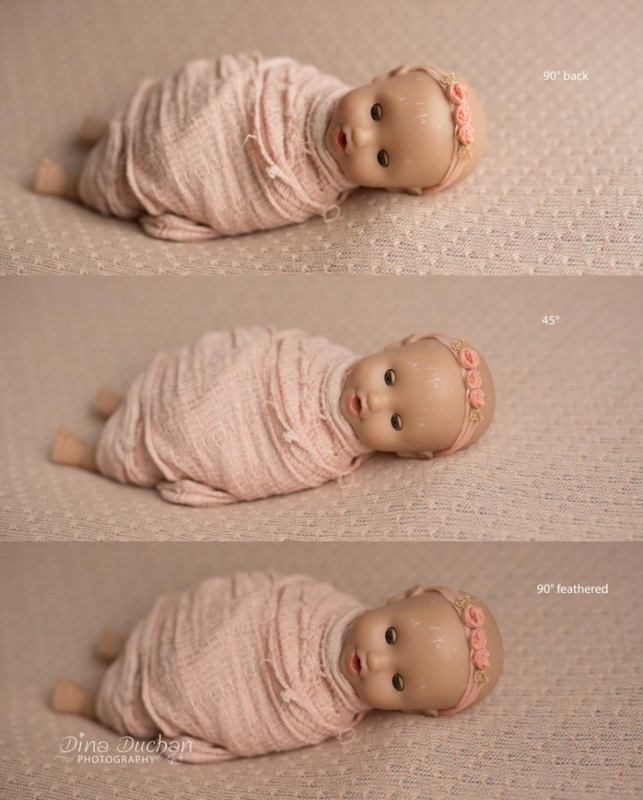 Use the spot metering mode and meter on the baby’s face. When shooting in monochrome consider contrast; black and white backgrounds will be the most striking, and contrast in the lighting will also give a dramatic effect. When photographing babies, you may need to “ham it up” to elicit a reaction. This can include making funny faces, playing hide and seek from behind a piece of cloth, or making goofy clucking noises. There are so many ways you can coax a smile onto an infant’s lips. Get “your better half” to coax that perfect expression, as you set up the shot. You should work fast to capture the moment so choose a fast shutter speed of 1/500s or more, use a wide aperture (f/1.8-f/4) for a blurred background and shoot! Babies offer a great opportunity for creating beautiful and treasured photographs, though they are by no means an easy subject! Always think on your feet and shoot more images than you think you’ll need. Be open, friendly and playful – if you are awkward the baby will be too. Also, don’t forget to have a helping hand. Babies crawl, they cry, they need changes, etc. A chaperone or helper will make all the difference so that you can focus on capturing the best moments. As well as a good camera, a standard lens of around 50mm is a good tool for baby portraits. Try to choose one with f/1.8 and lower so you get faster shutter speeds and sharper shots (i.e. f/1.4 and f/1.2). 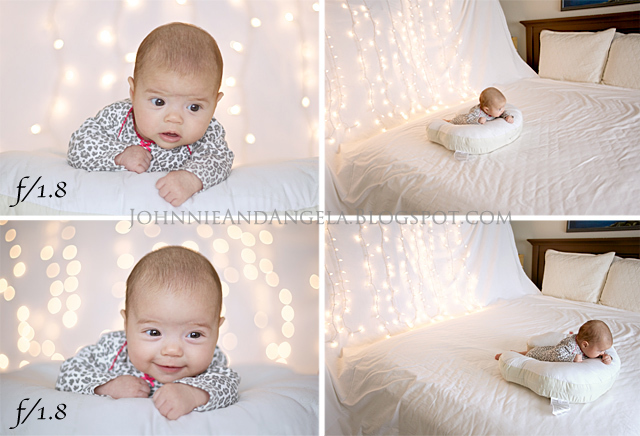 A beanbag rather than a tripod is great for stabilizing your camera and getting down on the ground to a baby’s level, and a silver or white reflector is ideal for bouncing light so that it is soft and flattering. White Balance – I set my own custom white balance from a grey card. 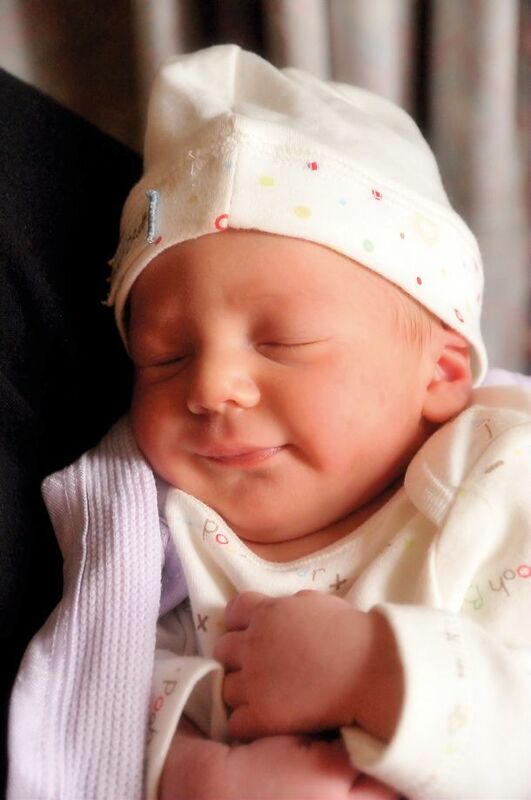 For the best baby shots, photograph during the daytime when there is plenty of natural daylight. 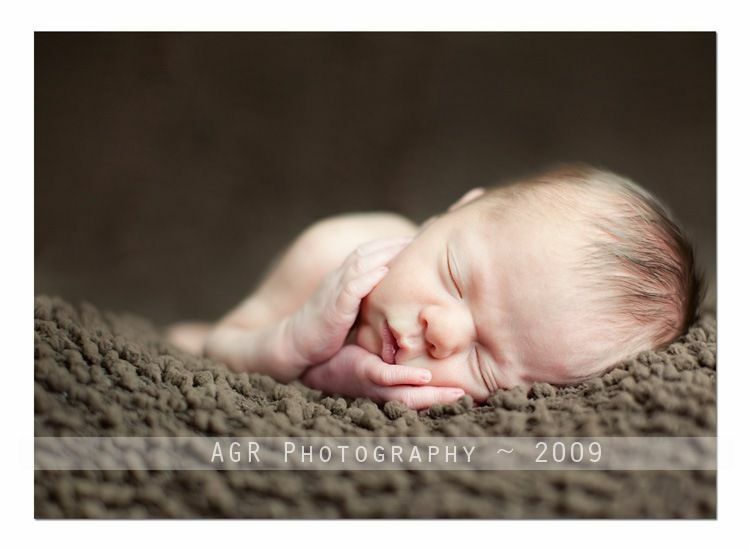 Natural light gives a soft focus look to the baby’s skin. Use window light if possible and avoid the harsh sun because it tends to casts shadows and is also unhealthy for the baby’s skin. A standard lens of 50mm is ideal for this kind of image. Turn the mode dial to AV (Aperture Priority) mode, select a high ISO and a wide aperture. Let the camera choose the correct shutter speed. Use an external flash (with a diffuser) to fill in any dark spots. 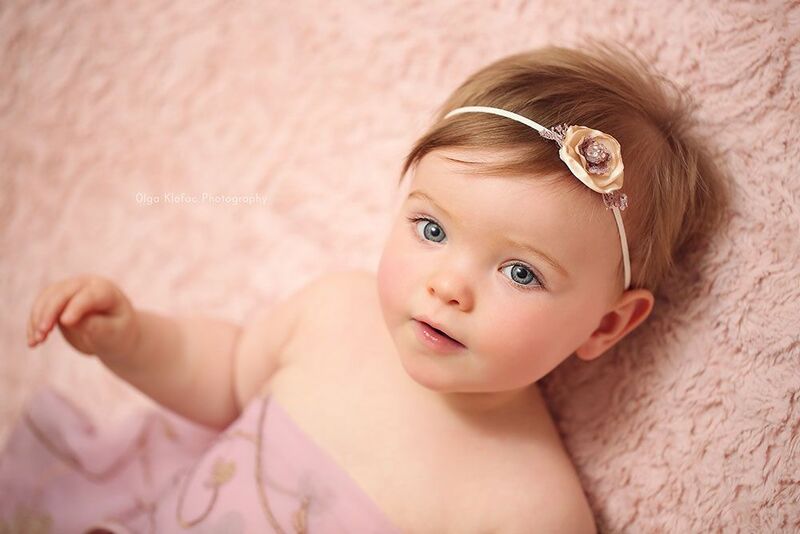 Simple baby shots are usually the best; there is no need for cluttered or overly bright backgrounds. A great way to get a photo that looks professional is to get some white, grey or beige cloth and lay it over two chairs. Place the cloth near a large window with the baby on it with some toys. Turn the mode dial to AV (Aperture Priority) mode and select your desired aperture. Feel free to push the ISO up if the window light is not very bright. Spot meter on the baby’s face and focus on the baby’s eyes. 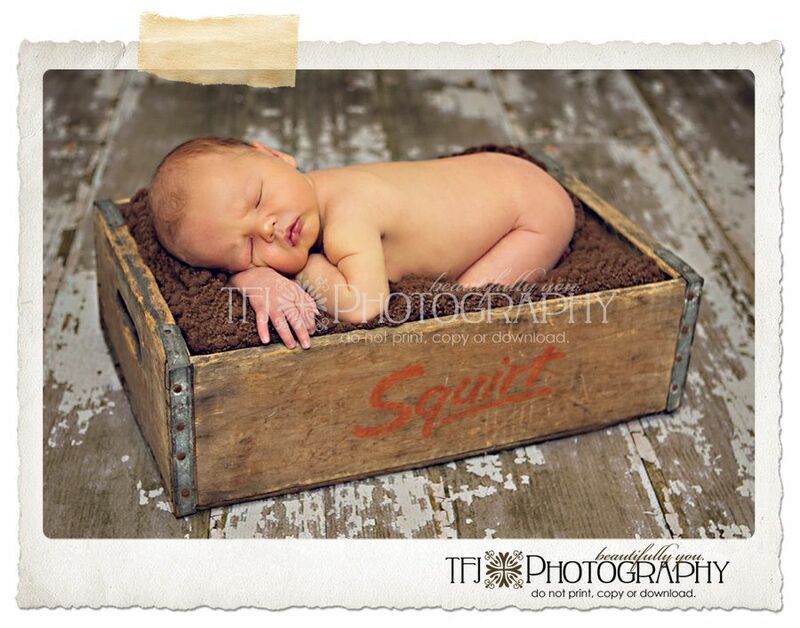 To take memorable pictures try to capture the baby engaged in an activity, or with family and friends. Siblings, especially if they are close in age can add extra interest to the photograph – get them playing together, eating or interacting as friends. Keep back and don’t try to force friendliness – let the children do what they do. Take the photos from the background, so as not to disrupt them. Seat the kids in an uncluttered area that has lots of natural light, like a large window. 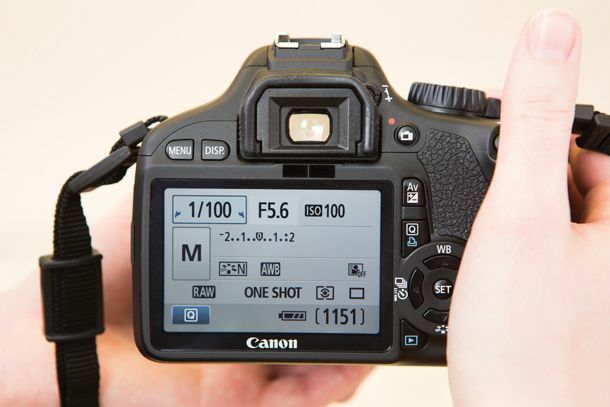 Use the auto settings to make sure you get a sharp image, and let the camera choose flash if it is necessary.